Wales offers a superb luxury option in the 5 star Celtic Manor, recently the host for the famous golf tournament the Ryder Cup. This beautiful venue offers a tranquil surrounding to relax even the busiest of people and a stunning spa setting and fabulous treatments. 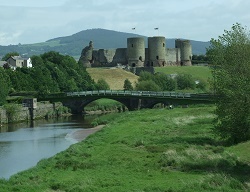 Wales has many attractions and places to explore whilst on your spa break. From the acres and acres of untouched countryside to the busy towns and villages that are wonderful to explore. For any further information on your perfect luxury spa package in Wales please select your chosen hotel and find the perfect package for you.